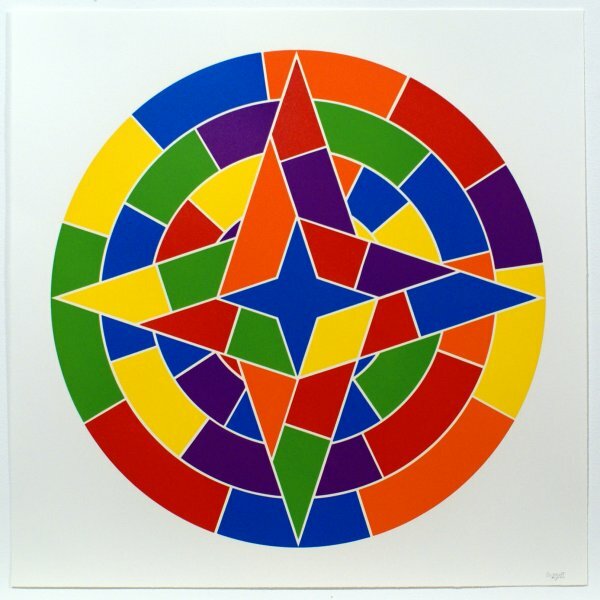 Sol LeWitt (b. 1928) was an American artist, considered one of the founders of conceptualism and minimalism. He was born in Connecticut, USA, and studied at Syracuse University. After graduation he traveled to Europe where he was exposed to the old masters of painting. After serving in the army, LeWitt moved to New York City, where he worked as a graphic designer for architect I.M. Pei and as a clerk at the MOMA, where he met and was influenced by many other artists including Robert Ryman, Dan Flavin and Robert Mangold. In the 1960s he taught at several schools including New York University and the School of Visual Arts. LeWitt’s works in two and three-dimensional forms, are characterized by tower, pyramids, geometric forms and progressions, and range in size from small wall pieces, to immense outdoor installations. 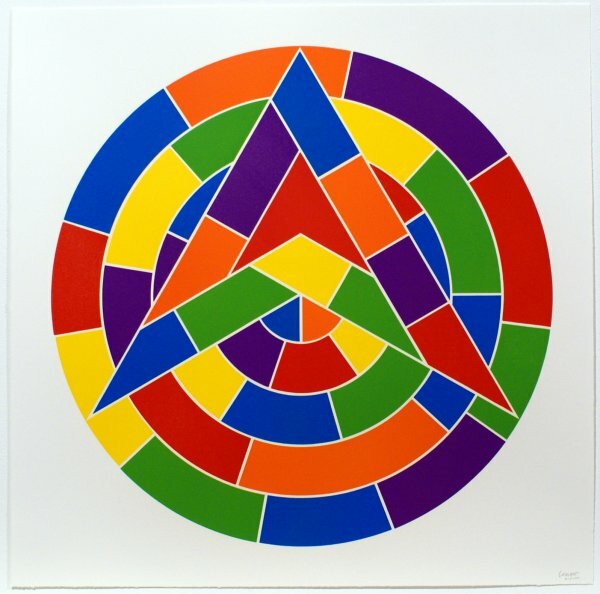 LeWitt’s work can be found in museums all over the world, including Tate Modern, the Van Abbemuseum, Guggenheim Museum, and the National Gallery of Art in Washington D.C.